Blueing and starching our laundry is a bit of a forgotten art. Today we grab a spray bottle and call it good, but our foremothers had a much different approach. 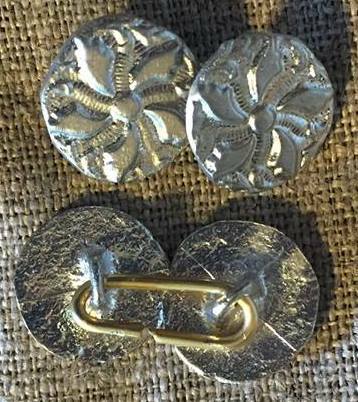 Along with this tin of starch (one use per tin) are directions for starching your linens in a period correct manner. A trade card for Nathan Drake, colour man, at the White Lyon in James Street, Covent Garden near Long Acre, London advertises that it "Sells all sorts of . 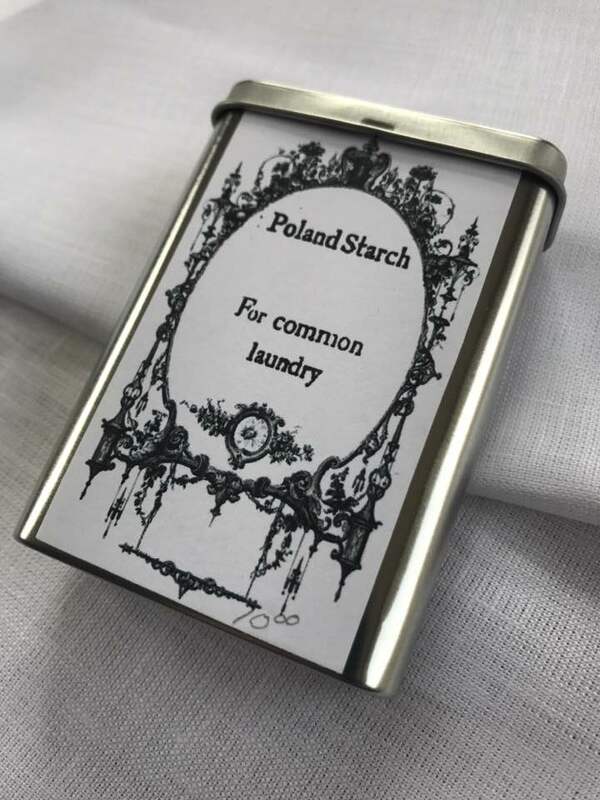 . . Poland & common starch & c."